Making the case for Jared Polis to become Colorado’s next governor is just as easy as understanding why Walker Stapleton is unsuited for the job. 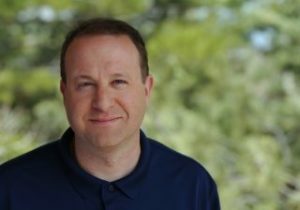 …Coloradans would be fortunate to have Polis as governor pushing for a brighter future. But the current state Treasurer’s vision seems less well-defined and is based in large part on a dedication to fiscally sound practices. Of course, the endorsement of one or two newspapers — even those that cover two of Colorado’s largest cities — does not in itself mean that Polis is headed to victory in November (though there is plenty of reason to call him the clear frontrunner). What these endorsements do confirm, however, is that Stapleton’s campaign strategy is an abject failure. Stapleton says very little about important issues in Colorado, choosing instead to focus on the same tired attacks about Polis and his “extreme and radical agenda.” If you’re going to try to paint your opponent as an extremist, it had better work; otherwise, news outlets like the Sentinel and the Post destroy that entire narrative with a single endorsement. As we pointed out last month, Stapleton’s “policy ideas” are about as fulfilling as eating a sleeve of saltine crackers for dinner. This is the other broken leg of his campaign stool, because without real ideas for solving real problems, Stapleton’s entire message just boils down to, “But, I’m not Jared Polis.” That might work if you were running against a lunatic like former Alabama Senate candidate Roy Moore, but it’s toothless against a solid, likable candidate such as Polis — particularly when Polis is all over the airwaves with positive messages. Walker Stapleton’s gubernatorial campaign isn’t dead…yet. But nobody would blame them if they started making funeral arrangements. This reminds me of the mailed campaign flyer I got from the Stapleton campaign some weeks ago, saying simply (without the quotes): "Walker Stapleton will work for Colorado." So, what the hell does this mean? Meaning he'll work as "hard" as he did in attending PERA board meetings? Specifics are just not his thing. Republicans will lose this election by default. Stapleton is simply a terrible candidate, and would be a mediocre governor at best (assuming he even shows up for work). There is no doubt that Polis is the most qualified candidate for governor. Thank you Denver Post for supporting the right candidate. What is with the hate on saltine crackers? A little butter and they are quite tasty. Especially accompanied by tomato soup. Now they need to dump Coffman, or is that over their quota. Good point. The current Denver Post apparently has a quota of Dems and Repubs it must support. At the risk of sounding like Zappy, they need to ditch their obsession with bipartisanship. If the GOP is only offering up crappy candidates, don't endorse any of them.